There were no reports of injuries or damage from the rocket fire, the Eshkol Regional Council said in a statement. 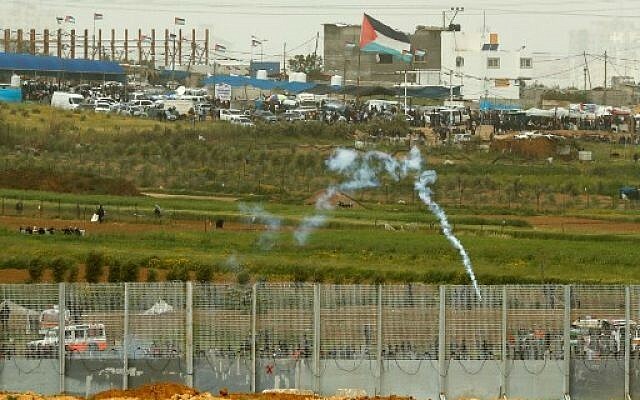 The Israel Defense Forces said five rockets were fired at Israel from Gaza after sirens sounded in the Eshkol region adjacent to the southern Gaza Strip at about 12:40 a.m. Explosions had been heard and “rocket strikes had been pinpointed to open areas,” the regional council said. It said searches were underway to locate the fired munitions. There was no immediate claim of responsibility from Gaza. 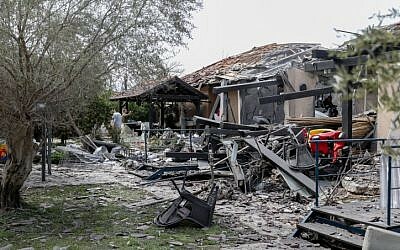 The strikes would appear to be the first rocket fire since a round of heavy fighting waned on Wednesday, following a flareup sparked when a rocket hit a home in central Israel, injuring seven people. 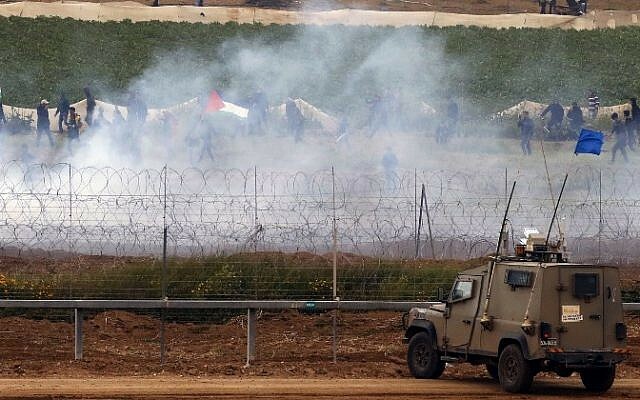 The renewed fire will likely place a damper on efforts between the sides to mediate a truce, after both sides expressed satisfaction with a relative lack of violence during large protests along the border Saturday, leading to hopes that understandings could be reached soon. It may also put the kibosh on plans to reopen two crossings in and out of the Strip on Sunday. 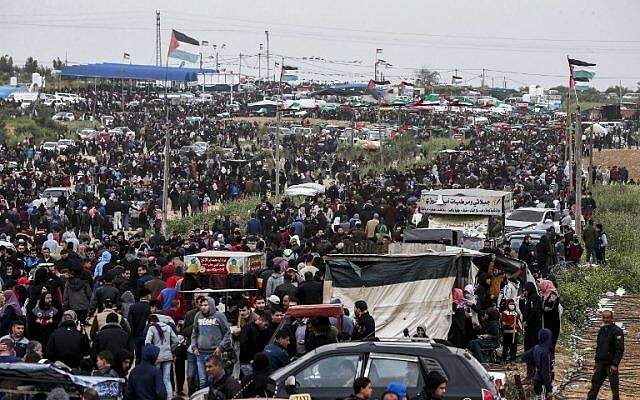 Over 40,000 Palestinians took part in rallies at the Gaza border Saturday afternoon, with some rioters throwing grenades and explosives toward the security fence as well as lobbing rocks at troops and burning tires. 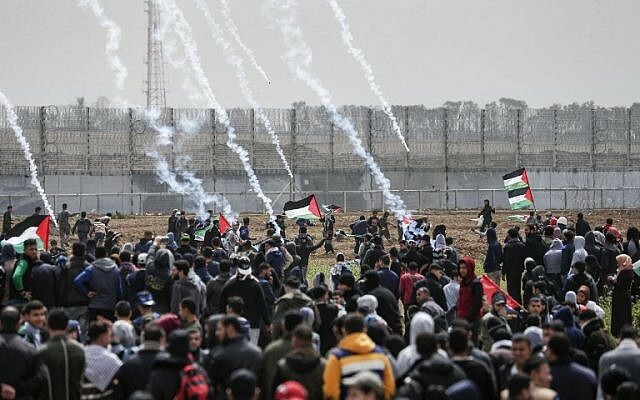 In the past, Israel has accused Hamas of encouraging the protests and using them as cover to carry out attacks on Israeli troops stationed along the frontier. 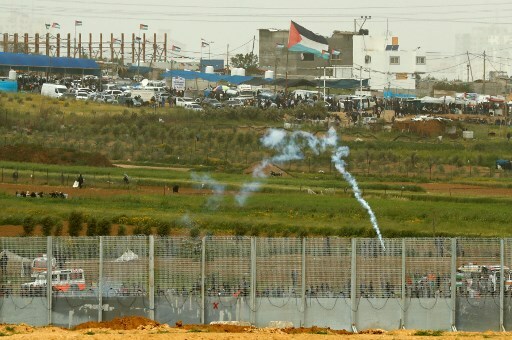 Previous demonstrations have seen dozens of deaths, including among Gazans who crossed the fence with weapons. “As far as we are concerned, there is no political or national commitment. 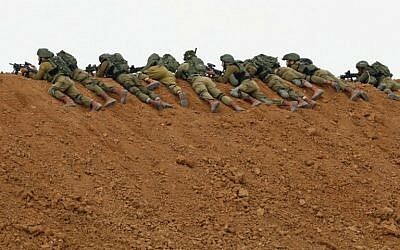 We…will continue to [participate] in all national activities and [undertake] all forms of resistance against the occupation in every place on the Palestinian land,” the Hamas official said. The Erez pedestrian crossing and the Kerem Shalom commercial terminal were both shuttered Monday after the rocket launched at central Israel. A fishing ban in place since then was also due to be lifted.